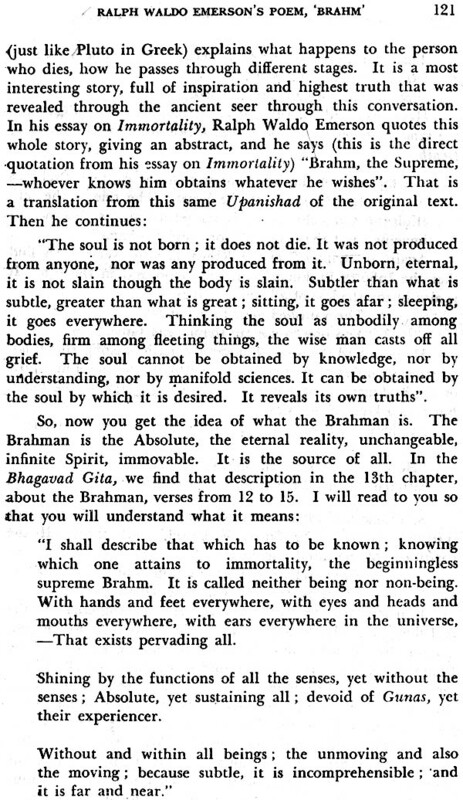 The writings and speeches of Swami Abhedananda, a direct disciple of Sri Ramakrishna, were spread over a long period of spiritual ministration both in America and in India. His deep philosophical insight and unfathomed spirituality attracted the learned and the intelligentsia. All his writings and speeches are available in one set of eleven volumes entitled THE COMPLETE WORKS OF SWAMI ABHEDANANDA, the last volume being the Guide to the Complete Works, edited in full by the most renowned philosopher and writer Swami Prajnanananda the direct disciple of Swami Abhedananda. We invite all lovers of philosophy, religion and culture to avail themselves of the golden opportunity of collecting this set without delay. Demy Octavo. Printed in good quality paper, bound with cloth and covered with coloured jackets. 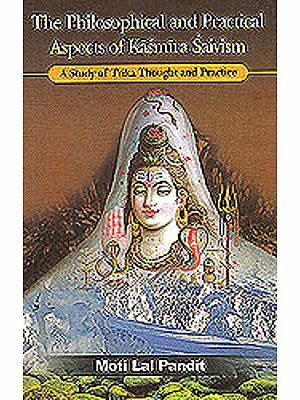 The book contains the elucidation by Swami Abhedananda ef the main speculative thoughts of Sankhya, Buddhism and Vedanta, dealt in a comparative manner. These lectures were delivered by the Swami in America before the talented audiences. Besides the systematic philosophies of Samkhya, Buddhism and Vedanta, the Swami has discussed about the spread of Buddhism in China, Japan, Korea and Tibet. 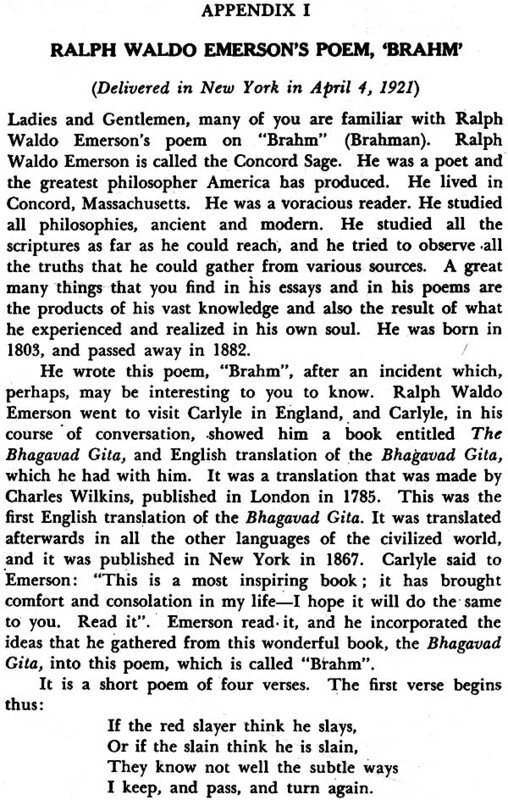 The chapter on Ralph Waldo Emerson's Brahman is very interesting and learned. The Swami has proved beyond doubt that unity in variety is the best principle of ethics, as the moment we realize that we are one in spirit with the Father in Heaven, we become kind to all, we love all living creatures, and attain to freedom and peace which are the end and aim of all religions and all nations. Swami Abhedananda, an apostle of Sri Ramakrishna Born October 2, 1866 spent his early life among the brotherhood in Baranagar monastery near Calcutta in severe austerity Traveled barefooted all over India from 1888-1895-Acquinted with many distinguished savants including Prof. Max Muller and Prof. Paul Deussen landed in New york, and took the charge of Vedanta Society in 1897-Became acquainted with Prof. William James, Rev., R.H. Newton, the inventor, Dr. Elmer Gates, Ralph Waldo Trine, Prof. Herschel C. Parker, Dr. James, the chairman of the Cambridge Philosophical Conference and the professors of Columbia, Harvard, Yale, Cornell, Berkeley and Clarke Universities-Travelled extensively all through the United states, Canada, Alaska and Mexico- Made Frequent trips to Europe, delivering lectures in different parts of the Continent Crossed the Atlantic for his profundity of scholarship, intellectual brilliance, oratorical talents, charming personality and nobility of character A short visit to India in 1906- Returned again to America in 1906 Came back to India at last in 1921-On his way home joined the Educational Conference, Honolulu-Visited Japan, China the Philipines, Singapore, Kulalumpur and Rangoon-Started on a long tour and went as far as Tibet Established centres at Calcutta and Darjeeling Left his moral frame on September 8, 1939. Thoughts on Sankhya Buddhism and Vedanta is a new unpub- lished book, and the chapters of this book were delivered in lecture form before the talented audiences in America. In the first chapter, the learned Swami has given an introduc- tion of philosophies of India. 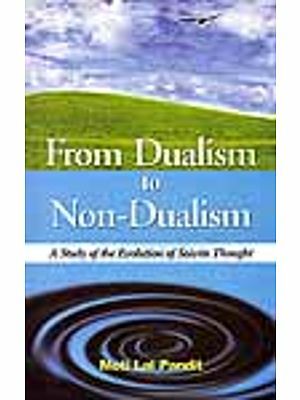 In the second chapter, he has efficiently dealt with the Sankhya philosophy of Kapila. 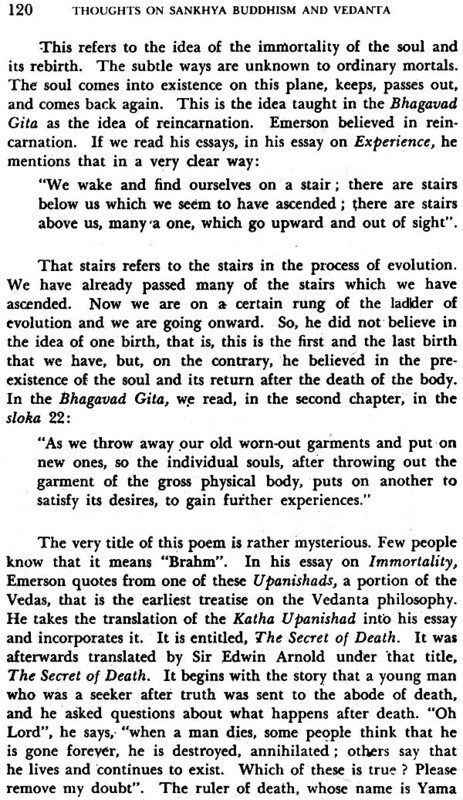 The Swami has said that Kapila was the father of the doctrine of evolution, because he was first among the Indian philoso- pliers, who gave the logical arguments for the support of the doctrine of evolution. The Swami has explained here in a lucid way the general principles of the Sankhya, as expounded by Kapila. 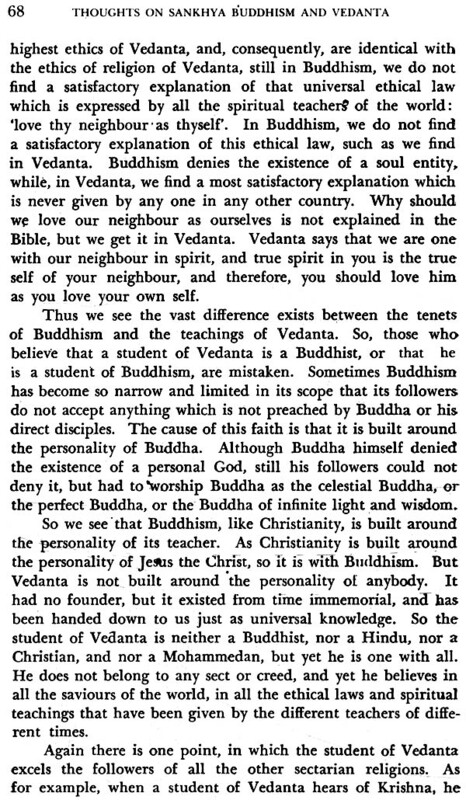 In the third chapter, the Swami has compared the per- sonalities of both Buddha and Kapila, before explaining the general tenets of philosophy of Buddhism and Sankhya. In chapter four, the Swami has described about the' Buddhist Councils, along with the central thoughts of Buddhism. Immediately after the pariniroana of Goutama Buddha in 543 B.C., five hundred Arhats gathered at Rajagriha at the request of venerable Mahakasyapa and Ananda, the most favourite disciple of Buddha and repeated the stories and parables of the Suttapitaka, and this was the First -Buddhist Council. Then one hundred years after the pari- nirvana of the Lord, the Second Buddhist Council was held at Vaisali. The Third Council was held during the' reign of the Emperor Asoka in Pataliputra in about 242 B.C., when the sayings or teachings of the three Pitakas were settled and written, arid the Fourth Council was held during. the reign of the Emperor Kaniska 'who lived in the 4th century after the parinirvana of Buddha. Swami Abhedananda has men- tioned in brief the. historical happenings of the four Councils, and has given the 'philosophical thoughts, contained in the four main schools, practically evolved, after the Fourth Council. 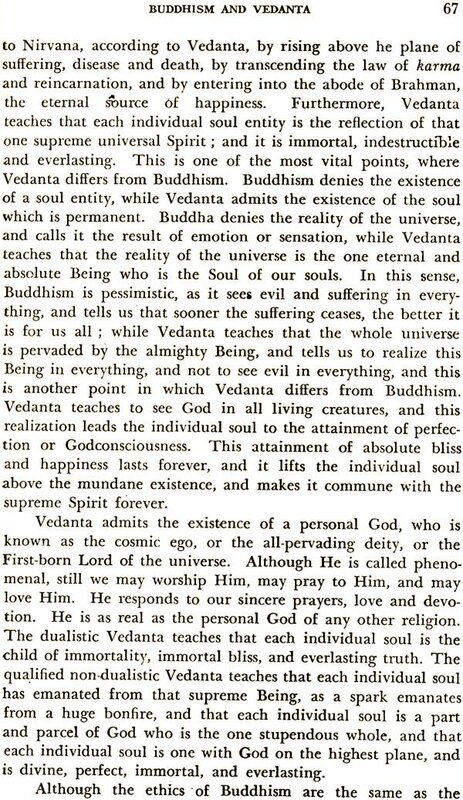 In chapter five, the Swami has elucidated the main speculative thoughts of Buddhism and Vedanta in a compara- tive way and has shown also the differences of them, when neces- sary. In the sixth chapter, the Swami, explained about the ethics of Hinduism and Buddhism. He has said that Buddhism is a child of Hinduism, as Buddhism is contained of the funda- mental principles of ethical ideas of Hinduism. 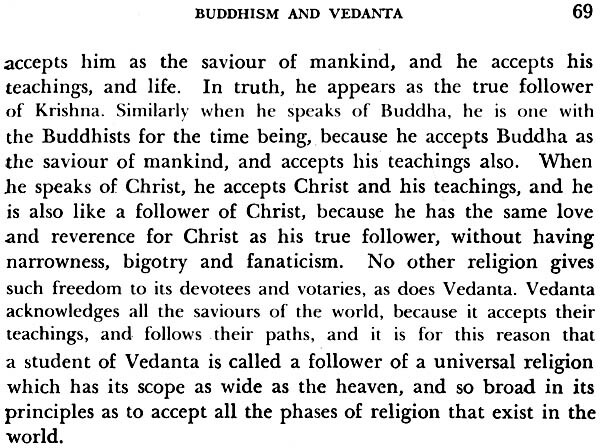 The grandest of the ethical law, that is taught by the Vedas, is the law of universal love', and this universal love and compassion towards the living beings of the universe 'were also preached by Buddha. 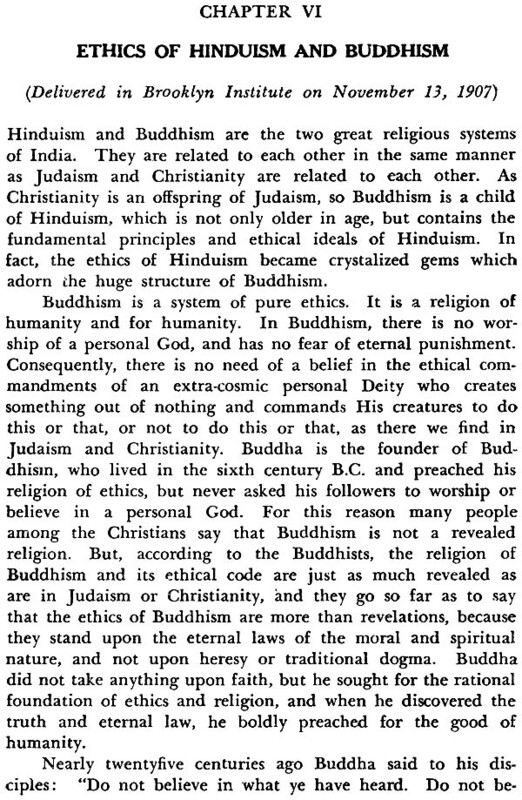 So Hinduism and Buddhism are the liberal and universal systems of religion or religious faiths which have adopted the elements of ethics for observing the strict moral values and spiritual ideals in human life. 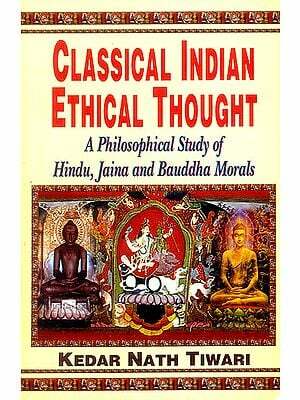 In the seventh chapter, Swami Abhedananda has dealt with the problem of international ethics. 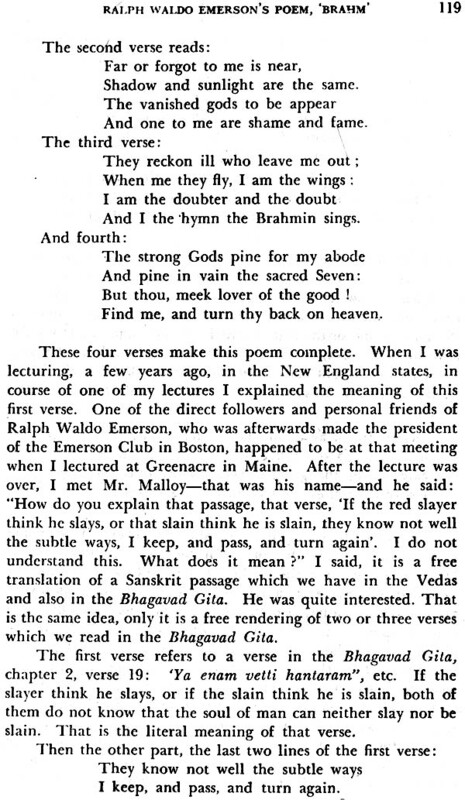 This lecture was delivered in the thirtyfirst Annual Convention of the Free Religious Association of America, held on Friday, May 27th, 1898 in the Steinert Hall, Boston, before a large gathering. In this lecture, the Swami has proved that unity in variety is the best principle of ethics, as this principle is based on spiritual laws of the world. The moment we realize that we are one in spirit with the Father in Heaven, we become kind to all, we love all living creatures, and attain to freedom and peace, which are the end and aim of all religions and of all nations. In the eighth chapter, the Swami has described about the spread of Buddhism in the countries like China, Japan and Korea, and has given historical records of the temples and monasteries of China. He has also mentioned about the religious sects of the Chinese' country. In the ninth chapter, the Swami has elaborately dealt with Shintoism in Japan. The Swami has said that there are three religions in Japan, and they are Shintoism, native to their own soil, Confucianism, introduced from China, and Buddhism, which came from Korea in 552 A.D. Shintoism was: of Chinese origin, and was adopted in Japan about the middle' of the 7th century A.D. In the tenth chapter, the Swami has dealt with the history and mystery of Lamaism in Tibet. There is also Bon religion in Tibet, and it was introduced before the spread of Buddhism in Tibet. Now the word 'Lama' is a Tibetan term, meaning the "Superior One", and the religion of the Lamas are known as Lamaism. The Swami' says that the Lamas do not call their special form of Buddhism by the name of 'Lamaism', but they say, The Religion', or 'Buddha's Reli- gion', and there is no Tibetan counterpart for the English term of Lamaism. The Lamaism or the Religion of the Lamas may be divided into three main heads, primitive, mediaeval and modern. In fact, Lamaism evolved from the Mahayana Buddhism, and afterwards took some new shapes with special creeds and rituals. weight of book 214 gms.